It is no secret I am a cookbook junkie. I love cracking open a new book for the first time, flipping through the pages of gorgeous food which will then inspire the next round of meals. I start planning dinner parties in my head and other occasions which will give me an excuse to make these new recipes. I could not contain my excitement when my friend Lily Diamond’s book, Kale & Caramel: Recipes for Body, Heart, and Table, arrived a few weeks ago. Lily’s blog, Kale & Carmel, is one of my favorites. She has the most beautiful style and is an unbelievable photographer. Lily comes up with the most interesting and appealing recipes, all of which are vegetarian and veggie-heavy. If I didn’t love her so much, I would have major blog envy. My husband has become somewhat of a mixologist lately and I am his taste-tester. 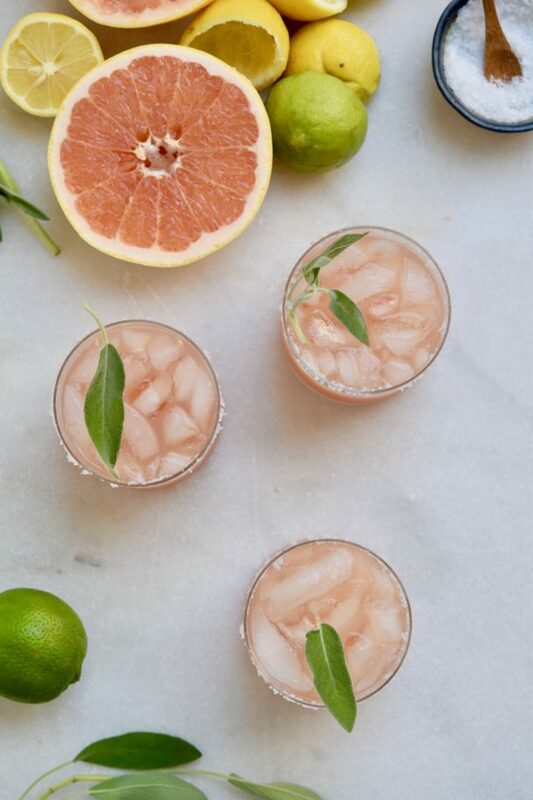 I wonder if that’s the reason I was drawn to this Citrus and Sage Tonic recipe. As soon as I saw Lily’s suggestion, ” you can make this into a cocktail,” I didn’t even look to see if it was 5 o’clock yet! This tonic obviously doesn’t have to be a cocktail. 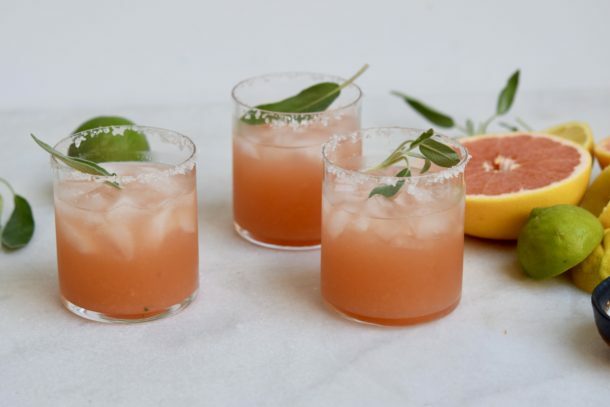 All the bright citrus juices mixed with the earthy sage were refreshing and thirst-quenching. But it was a Friday and I didn’t hesitate to splash a little tequila in my glass. I love drinks that are a little sweet and a little tart, and that taste like something found in nature. You have no doubt that there are three different types of citrus in this tonic. I don’t normally use agave, but it’s so little and you really do want a neutral sweetener here. I know I will be making this often going into summer. I might even ask the hubs to mix up a batch for Mother’s Day brunch. Lily’s book is out today and there’s so much more to it than one beautiful drink. 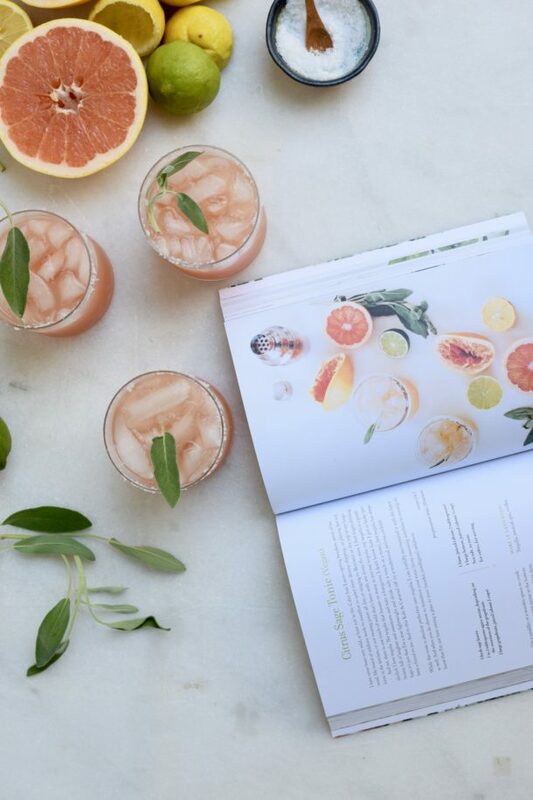 Each chapter celebrates an aromatic herb or flower with recipes not just for the table, but for the body as well. I cannot wait to make the blackberry basil healing mask, or the cucumber rose petal mask. I perused this book, asking myself, “why did I not think of sweet orange and rosemary cream pops with salty chocolate drizzle?” The important answer is that everything in this book can be mine in time. Cheers to that! 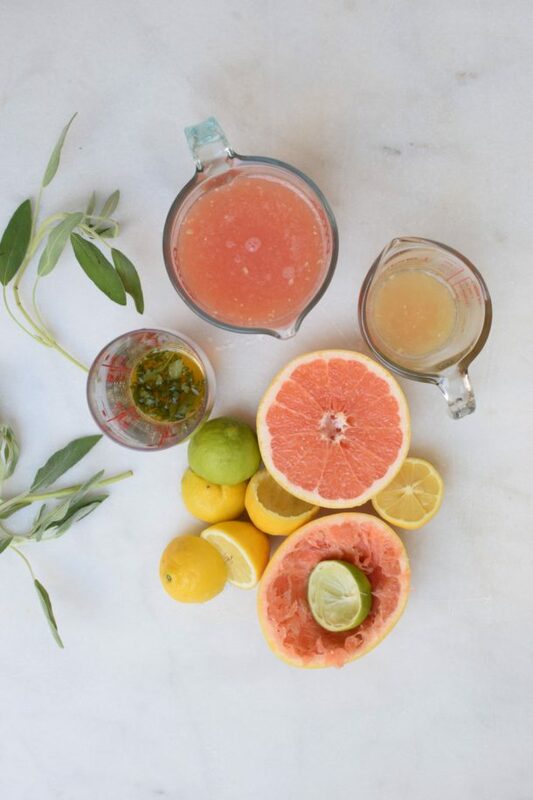 Add the grapefruit, lime and lemon juices and a few pinches of salt. Shake vigorously, then strain out over ice. 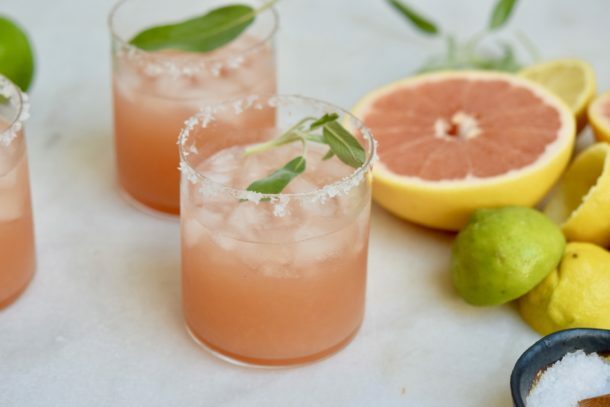 Make a it a cocktail with tequila, mezcal, gin or vodka! PAMELA!! Thank you so much, my beautiful friend. You are an inspiration to me, and it’s an honor to be on your site. 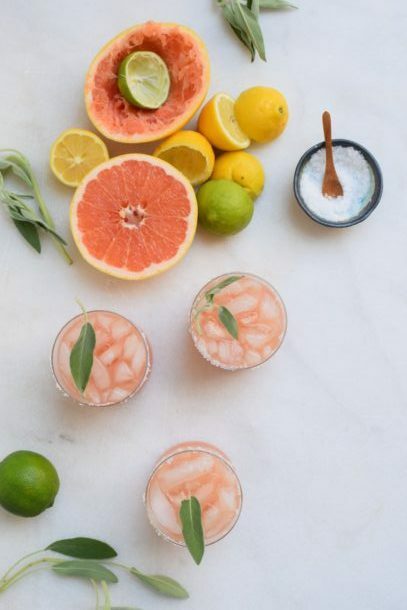 I’m SO SO happy you loved these tonics—can we please have a summer happy hour with them sometime soon?! Thank you for your kind words, these beautiful photos, and the wonder that you are. So happy you’re in my life. Yes, love bug! Adore you!